Mild, Hypoallergenic and pH Balanced to gently cleanse and refresh hair without causing irritation to sensitive scalps. Gently cleanse sensitive scalps with this Mild, pH Balanced and Fragrance Free shampoo, to leave hair and scalp feeling, refreshed, moisturised and comforted. 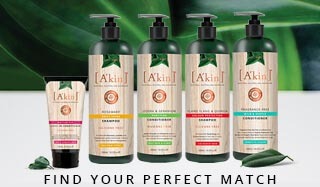 Follow with the A'kin Mild & Gentle Fragrance Free Conditioner. Hair Type: For sensitive and irritated scalps. Gentle enough for children. Massage into wet hair, adding more water to build a natural lather. Rinse & reapply if necessary. For best results, follow with A'kin Mild & Gentle Fragrance Free Conditioner. Mild & Gentle Fragrance Free Shampoo 225mL is rated 3.7 out of 5 by 3. Rated 5 out of 5 by raisintoast from Gentle yet works! This shampoo (combined with the conditioner) is absolutely great! 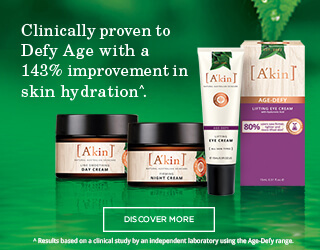 I'm an eczema sufferer so am always on the lookout for products that are gentle on my skin. This is the only gentle hair product that has not made my skin worse, while also been effective on my hair. My scalp does not become dry and flaky after using this and it doesn't make my eczema flare up. So I would definitely recommend for anyone who suffers from sensitive skin/scalp. Rated 1 out of 5 by angelah from mild and gentle!? I bought this to replace the discontinued Mandain shampoo in this range and was very disappointed! my hair was dried out compared to Mandarin ( for all hair types) I love this brand but won't purchase mild and gentle as it wasnt for me!